Gobbledygeek episode 184, “Of Meth and Men (feat. K. Dale Koontz & Ensley F. Guffey),” is available for listening or download right here, and on iTunes here. Friend of the show and long-ago guest K. Dale Koontz makes her triumphant return to Gobbledygeek, and this time, she’s brought along her lovely husband Ensley F. Guffey. Together, they’ve written Wanna Cook? The Complete, Unofficial Companion to Breaking Bad, which is pretty much what the title says. Dale and Ensley geek out about Breaking Bad, discuss Michael Slovis’ stunning visuals, and talk about what goes into writing a book with your spouse. 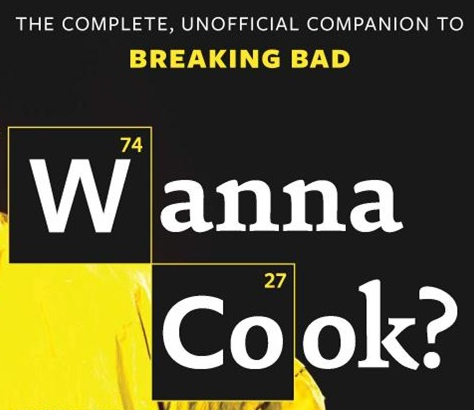 They do not, however, tell you how to cook 99.9% pure crystal blue meth. Disappointing, I know. Plus, the gang bemoans Zack Snyder’s grip on DC’s movie world and raves about indie comics. Next: our year-long Four-Color Flashback exploration of Neil Gaiman’s The Sandman continues, as Greg Sahadachny joins us to discuss Vol. III: Dream Country. This entry was posted in Shameless Self-Promotion and tagged aaron paul, books, breaking bad, bryan cranston, comic books, comics, dc, dc comics, ensley f guffey, film, gobbledygeek, graphic novels, itunes, k dale koontz, libsyn, literature, michael slovis, movies, podcast, television, tv, vince gilligan, wanna cook, wanna cook the complete unofficial companion to breaking bad, zack snyder. Bookmark the permalink.